PhD student Jeremy Heath had something additional to be thankful for this Thanksgiving. His manuscript entitled “Carnivores and carotenoids are associated with adaptive behavioural divergence in a radiation of gall midges” was just officially published (online) in the journal Ecological Entomology. 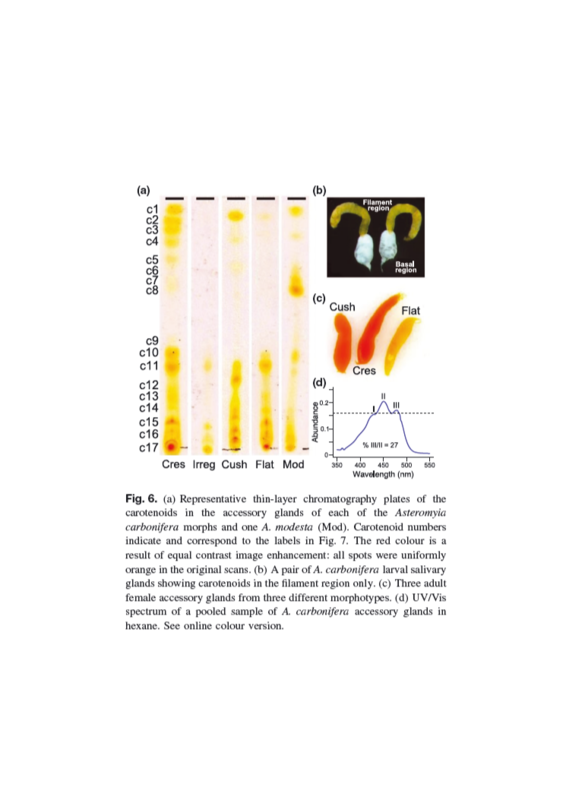 In this paper, Jeremy and coauthors explore adaptive phenotypic divergence in populations of the galling midge Asteromyia carbonifera that coexist on the same host plant, the goldenrod Solidago alti ssima. He goes beyond analyses of gall morphology (which has been explored in previous papers), to examine variation in “ovipositional phenotype” (essentially where they midges deposit their eggs) and carotenoid constituents of salivary and accessory glands (orange-colored chemicals important in all sorts of biological processes), and how this may influence interactions with both host plants and parasitoid enemies (I won’t give it all away, read the paper!). It is a dense paper, chock full of experiments, tantalizing results, and interesting possibilities. I invite you to take a look at it, there is something in there for everybody (I am sure Jeremy (heath.22@wright.edu) would be happy to send you a pdf). This entry was posted in Scientific publications and tagged Adaptive radiation, Asteromyia, Cecidomyiidae, Jeremy Heath. Bookmark the permalink.